Yesterday, when I was preparing a sermon for this coming Sunday, a book I had ordered winged in from Amazon, and instead of reworking the sermon, I sat down to read MAKING YOUR WAY TO THE PULPIT by Jerrilee Parker Lewallen (Was this a signpost for me on the road to better homilies?!). Jerrilee is an Episcopal priest who lives on The Mountain in Sewanee, Tennessee where I sojourn eight months of the year. I was curious to read the book she had been working on last year and believed that it would be an excellent treatise on sermon preparation because I had been privy to a sneak preview of the book before she sent it off to Wipf and Stock Publishers in Oregon. I also knew the book would speak volumes because I had heard Jerrilee preach many times at Otey Episcopal Church where she was interim priest my first year of living at Sewanee. I remember going to an Easter morning service primed to hear a female priest that several of my friends had touted as a wonderful preacher. I wasn’t prepared for the brilliant delivery I heard that morning. Jerrilee not only preached the Word, she sang to us in a clear, unwavering voice that inspired us to feel the kind of joy she experienced when she related the story of the Easter resurrection. For the one year I attended Otey, Jerrilee consistently preached sermons filled with wonderful metaphors, scholarly research, and unmistakable passion. She is undeniably a Jeremiah in the pulpit! She has done as masterful a job in writing MAKING YOUR WAY TO THE PULPIT as she does when she delivers homilies. Jerrilee’s an enlightened writer and an enlightened preacher, no doubt about it. The subtitle to MAKING YOUR WAY TO THE PULPIT is “Hethcock’s Homiletics Goes to the Parish,” as the book is based on the teaching of the Rev. Dr. William H. Hethcock who taught homiletics at the School of Theology, University of the South, Sewanee, Tennessee until his retirement in 1997 and thereafter on semester contracts at the School of Theology and the Virginia Theological Seminary. Often, at St. Mary’s Convent, where I've attended services for the past three years, he is a guest preacher and preaches powerful homilies with memorable take-home messages. Jerrilee has used Hethcock’s approach to preaching for years and continues to use it when she’s asked to supply preach, now that she’s retired. In MAKING YOUR WAY TO THE PULPIT, Jerrilee explains her “master’s” preaching methods in six chapters that include guidelines to focus statements, methods for employing four sermon preparation boxes labeled Exegesis, The Human Condition There and Then, The Human Condition Here and Now, and Proclamation—four boxes that illuminate a process Heathcock devised by assimilating the methods of his mentors Fred B. Craddock, Thomas Long, O.C. Edwards, Jr. and Eugene Lowry. In addition to developing this method, Hethcock has taught and given feedback on more than 4500 student sermons during his lifetime. Jerrilee’s explication of the Hethcock method is a valuable guide for neophytes just beginning to grasp the methodology of good preaching, for seasoned priests and deacons, and for those who want to gain a better understanding of the preaching process—who want to know why they enjoy excellent homilies on the Gospel delivered by certain preachers. When I retired as archdeacon of the Episcopal Diocese of Western Louisiana, people asked me why I didn’t compile a book of my sermons, and I repeated an anecdote about my great-grandmother, a staunch Baptist who ran out of missionary tracts when she was forming sixteen missionary societies in Washington Parish, Louisiana. She said that in substitution for the tracts, she distributed old sermons from Baptist ministers she had known, and remarked, “the societies went to sleep and I had a hard time reviving them.” I concur with her as I’ve always believed that sermons are to be heard and not read. In MAKING YOUR WAY TO THE PULPIT, Jerrilee quotes Hethcock as saying: “The purpose of the sermon is not to get something said: it is to get something heard.” Amen. In MAKING YOUR WAY TO THE PULPIT, we’re treated to a sermon delivered by Jerrilee, using a focus statement and a powerful metaphor (a Barbie doll birthday cake); a sermon by Hethcock on the First Sunday after the Epiphany in 2009; and to a powerful sermon on the prologue to John in which Jerrilee uses three funny stories to illustrate the power of humor in a good sermon. An important chapter on the subject of feedback (the nemesis of all preachers) provides suggestions for sermon feedback programs. Recommendations for designing feedback groups is contained in Appendix D, appropriately titled “Talking Back to the Preacher.” MAKING YOUR WAY TO THE PULPIT contains Appendices and a Bibliography that includes a list of Hethcock’s writings. I lay no claims to this blog being a scholarly review of Jerrilee’s work about Hethcock’s methodology, but I couldn’t resist showcasing her new book, the manuscript of which four of us discussed during lunch at an Italian restaurant in Cowan, Tennessee over a year ago. I applaud her work and look forward to her second book. Brava Jerrilee…and, of course, the Rev. Dr. William Hethcock! May you continue to lead the way to the pulpit! The other day I read an article about Emily Dickinson that gave me great pause. 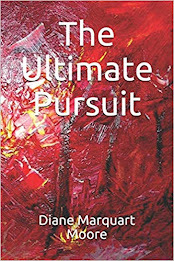 It stated that Dickinson published only a dozen poems in her lifetime because she didn’t like the way her poems appeared on a page when published, preferring her handwriting as it added to the poem’s meaning. She liked her own calligraphy and slashes and thought her poems looked much better in her own script than those dozen that appeared in print. I have no idea whether she used the Spencerian method or her own brand of calligraphy, but she churned out about 1800 poems that now appear in various typesets in books throughout the world. And none of them showcase her original script writing to emphasize the fact that, to her, presentation was all. I’m happy that writers today aren’t judged on the basis of their handwriting, or I’d be in hot soup. Friends once complained of my “distinguished, indistinguishable” handwriting and sighed in relief when I began typing all my correspondence. I never could assume the position for writing Spencerian style – you know, the shoulders square, upright position that Spencer advocated so that you wouldn’t “become hollow-chested (?) or round-shouldered,” and I never mastered the free use of the hand when holding the pen, as I was a pen/pencil pincher from the get-go. In one of my books, OLD RIDGES, published in 2009, I include a short story, entitled “He Was So Smart,” a sketch about my struggles with penmanship and my desire to excel in handwriting so that I could surpass a fellow classmate named Tommy Cox who wrote a beautiful flowing script. I even went so far as to purchase a grey Scripto pencil like Tommy used because I thought it would produce a script that outshined his “writing the right way.” Miss Williams, my third grade teacher (in the story and in real life), would demonstrate the practice of fine writing with the words: “Think of flowing water. Let the lines flow. Don’t pinch the pencil (ouch for me!). Grasp it gently and make the letters ever so faint. People will judge you by your handwriting one day. They’ll be able to tell if you have fine character by the faint, delicate curve of your letters.” I tried to keep my lines straight and my curves curved, but my mind raced ahead of the pencil and forced me to write dark letters with spaces in between. “Never erase,” Miss Willams would cry. “Never erase. Start over. Erasing shows up as frailty of character. Take another sheet. And sit up straight. Young ladies don’t slump.” She finally took pity on me and went so far as to give me an “A” in handwriting to reward my intense effort. And so through the years, I tried to develop a fine hand but never achieved either a Spencerian or a Palmerian hand, or even a block printing that was masterful, until…until I enrolled in a shorthand class in high school. The squiggles of shorthand perfectly matched my racing mind, and I practiced writing the short way night and day, finally entering the Louisiana State Rally and winning first place in the state with my squiggles and dots written in ink, mind you, when other competitors took dictation using a pencil. Finally, I thought, finally, someone recognizes that I can write a good hand, even if it is still undistinguishable and looks like another language. Many years later, with the memory of that shorthand achievement in my mind and feeling a need to brag about it, I decided to call Miss Williams in Baton Rouge where she had lived since the day I graduated from the third grade. I calculated that she'd be in her 90’s and had no hope that she was still alive, but some strange incompletion caused me to pick up the telephone and call her. She answered in a faint voice, and I introduced myself as one of her former students. I mentioned the year I had been under her tutelage and that I had won the Doherty Award (a school award for good attendance, punctuality, and highest grade average) and she hesitated, then talked about teaching so many students during her lifetime, finally confessing that she didn’t have a clue who I was. My heart sank but, like a terrier with a pants leg, I persisted. “I was in the third grade class with Tommy Cox,” I said, straining for recognition. “Oh,” she said, “Oh, I do remember him. He was sooo smart!” A lifetime of trying to achieve excellence died. I almost explained to her that I was the girl who had such a horrific handwriting but managed to chat above my disappointment and actually corresponded with her for awhile. When I called her a year later, the telephone had been disconnected, so I knew that my handwriting teacher had died. This past year when CHANT OF DEATH was published by Pinyon Publishing, co-author Isabel Anders and I were working on other individual writing projects that came to fruition in 2010. Isabel is an editor of “Synthesis,” a resource publication of commentaries on Scriptural readings designed to assist clergy and lay people with their sermons and teaching. In her spare time, she publishes at least one book a year. To date, she has approximately 22 books on her publication list, several of which are endorsed by the famous author Madeleine L’Engle (now deceased). The book that came to fruition for Isabel is her latest compilation, available this month from Liguori: BLESSINGS AND PRAYERS FOR MARRIED COUPLES : A Faith Full of Love. This volume is a blessing in itself and emphasizes marriage as a sacrament that requires attention to prayer life. In BLESSINGS AND PRAYERS FOR MARRIED COUPLES, Isabel advocates the daily act of affirming marriage vows through the process of collaborative worship. The book is an invitation for couples to regard their union as blessed, and Isabel advises them to keep their hearts open for an enlightened relationship with each other, as well as with God, so that a clear spiritual perspective about the institution of marriage overarches their partnership. Based on seven lines of the marriage vows, each chapter in BLESSINGS AND PRAYERS FOR MARRIED COUPLES presents a different part of the vows: “I take you to be my spouse…for better or for worse…to have and to hold…in good times and in bad…for richer and for poorer…in sickness and in health…all the days of our lives…” Isabel encourages married couples to pray together at regular times – at mealtimes, bedtimes, and at family events. Her thesis that praying together is the strongest factor in producing long-term, successful marriages is undergirded by the results of a survey that determines only one percent of married couples divorce when they engage in mutual prayer. Isabel uses positive words to project the ideal for married life: love, listen, care, give, share, and support, and at the beginning of each chapter containing inspiring quotations and prayers, she presents a personal reflection about a part of the marriage vow. At the conclusion of each chapter, she includes questions that partners can use to reflect upon and discuss together. From SHORT PRAYERS FOR THE LONG DAY by Giles and Melville Harcourt. This is a “how-to” volume containing profound insights that Isabel shares with couples who wish to achieve intimacy with God and each other within the construct of a praying partnership. When we meet for morning coffee at author Morris Raphael’s home, we frequently share in a conversation about the numerous people Morris and Helen know who live throughout the world. 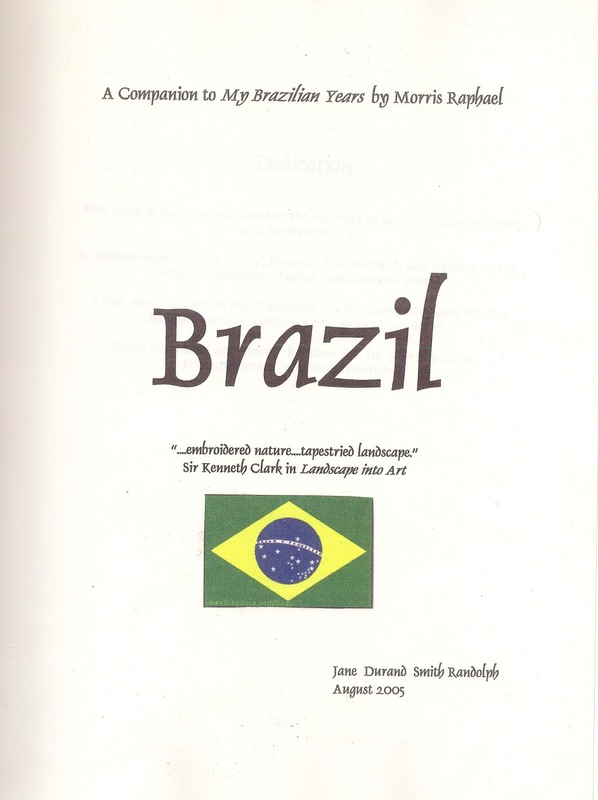 Yesterday, we met to talk about his upcoming book, CIVIL WAR VIGNETTES OF ACADIANA, and at the end of the visit, Morris gave me a copy of a book about Brazil written by his close friend, Jane Durand Smith Randolph. Jane is a native Louisianian who sojourned in Brazil during the time that Morris worked as a project engineer in the construction of the Copebras plant near Cubatao, Brazil. Jane Randolph, a native of Bunkie, Louisiana, traveled to Sao Paulo with her father and mother in 1955 where she met Morris and his soon-to-be wife, Helen, who worked with the U.S. Information Agency. Jane's father, James (“Tiger”) Alexander Smith, had engaged Morris in the construction of a carbon black plant, and during the time that Smith explored the possibility of building the plant, Celanese Corporation joined the venture as a financial partner -- the carbon black plant eventually burgeoned into one of the largest privately-owned industrial complexes in the world. Jane’s book includes interesting notes that provide perspective about the carbon black industry; e.g., a definition of carbon black as “breaking down hydrocarbons according to color, size, and density for use in the manufacture of inks, dyes, plastics, rubber, paints, as well as many other products” --a note which underlines the importance of establishing a plant of this type in forward-looking Brazil and throughout the world. Descriptions of social activities are interspersed with cultural information in the text, including a party honoring Queen Elizabeth II at the English Club in Sao Paolo. Jane writes about her family sharing meals with Morris in Santos where he entertains them with stories about characters on the plant site. “He seems to know everyone in Santos,” she writes. “We went nowhere with him that he wasn’t shaking hands and chatting with the locals. He always livened up a visit to Santos…we were excited when Morris met Helen and the courtship seemed to prosper…” When American freighters arrived periodically, Morris arranged for the Smith family to go aboard and enjoy an American dinner, and they departed the ships with “precious gifts,” such as the world-touted hot sauce, Tabasco, which is produced at nearby Avery Island, Louisiana. Jane relates that she developed hepatitis and while bedridden, Morris loaned her his small black and white television set so that she would be entertained while confined. She also studied Portuguese, the language of Brazil, sampled trigonometry and the work of Jung, the psychoanalyst. A chapter entitled “The Other Side of Life” chronicles Jane’s experiences with beggars, some with elephantiasis and gaping wounds infested with insects. 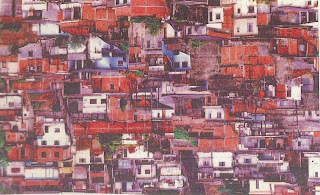 She describes the wretched slum areas where mass cremations took place and the smell covered the city, reminding her that much of Brazil remained Third World. “I wondered how the German population did not know about the cremations in the concentration camps for the stench was unforgettable,” she writes. Life in refrigeration cartons or shacks made of loose boards and found objects gave her a glimpse of “the other side” where outsiders, like wealthy Americans, were not welcome. From one of my favorite poets, Elizabeth Bishop, she borrows a description of the poverty-stricken children, revealing that “pink dogs” (dogs with mange) are often better treated than children in the slum sections of Sao Paola. Voodoo practitioners abound in this area, and the Smith family often saw macumba (voodoo) candles glowing in the streets of Sao Paolo slums at night. This is a colorful memoir and an excellent companion piece to Morris’s MY BRAZILIAN YEARS that bears out the quote on the front cover: “embroidered nature…tapestried landscape” (Sir Kenneth Clark in LANDSCAPE INTO ART). 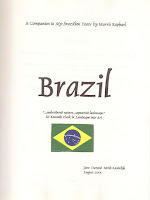 A good read for any expatriate who has lived abroad and expanded his/her vision of the world.